National Employee Appreciation Day is rapidly approaching. According to Days of the Year, 2013’s iteration of the holiday falls on March 1. Small business owners would do well to make touching gestures like distributing personalized business gifts to recognize the efforts of their staff members. Failure to celebrate National Employee Appreciation Day can lead to a disaster, because workers may feel slighted. According to the Globoforce Mood Tracker Fall 2012, 42 percent of staffers plan on looking for new opportunities due to a lack of recognition from their current employers. The news source also found that companies that have rewards programs are more successful than less-prepared enterprises. Celebrating National Employee Appreciation Day should be a priority for every small business owner. Employee turnover can be a huge problem, but small actions like holding a party and giving away gifts help companies retain their top contributors. Consider these tips when planning your holiday events for March 1. No corporate party is complete without the right presents for employees. Workers expect to receive small tokens of appreciation during corporate events, especially on National Employee Appreciation Day. Entrepreneurs must find presents that their staff members would appreciate, but that are still appropriate for a professional setting. 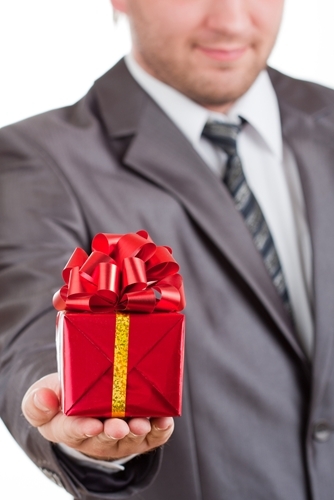 The best gifts are ones that employees can use every day around the office. Custom pens are excellent rewards because they are functional and show that managers aren’t distributing generic items. Additionally, personalized calendars would be appreciated by the entire team because everyone needs help staying organized. Small business owners who want to go the extra mile for their workers should consider distributing personalized coffee mugs. Almost every employee starts their day off with a hot cup of joe and would love to have a customized mug in the office. The gifts would also help staff members save money. According to MSN, the average person spends $20 per week on java from local cafes. With custom mugs, associates can brew their own coffee instead paying for the warm beverage. Alternatively, entrepreneurs can give away customized cases for smartphones, laptops and tablets. Most workers use their personal devices for work, so owners should ensure that the electronics are safe from the elements. Durable sleeves and pouches help employees keep their gadgets working like new. The gifts can help managers endear themselves to their teams to foster loyalty and prevent anyone from jumping ship. To workers, National Employee Appreciation Day is one of the best holidays of the year. While businesses don’t give out vacation days on March 1, they usually celebrate by holding special events. A small party or corporate outing is a regular fixture of the holiday, and entrepreneurs should make the gatherings an annual tradition. Small business owners shouldn’t decide how their establishments will celebrate – the entire staff should be included in the conversation. The day is dedicated to employees, so it would be a nice gesture if managers allowed their contributors to decide where the party will be held. The NY Report writes that workers should be allowed to pick a restaurant for lunch. The tactic can be adapted to on-site celebrations by letting staffers choose between different caterers. The parties should be held during relatively quiet periods so that everyone can participate. The entire establishment should cease operations for at least an hour and every employee should be allowed to socialize with their associates. Businesses should send notices to their clients to alert them of the occasion, to avoid missing any calls. Another option is a small dinner party so productivity doesn’t come to a halt during and after the celebrations. National Employee Appreciation Day falls on a Friday this year and workers would love to start their weekends with a fun event.